Congratulations to Dr. Michael Rawlings, who defended his Ph.D.! Congratulations Dr. Rawlings!! Congratulations to Dr. Matthew Glazer, who defended his Ph.D.! Matt's next adventure is to move out to the bay area where he will work for Exponent. Congratulations Dr. Glazer!! 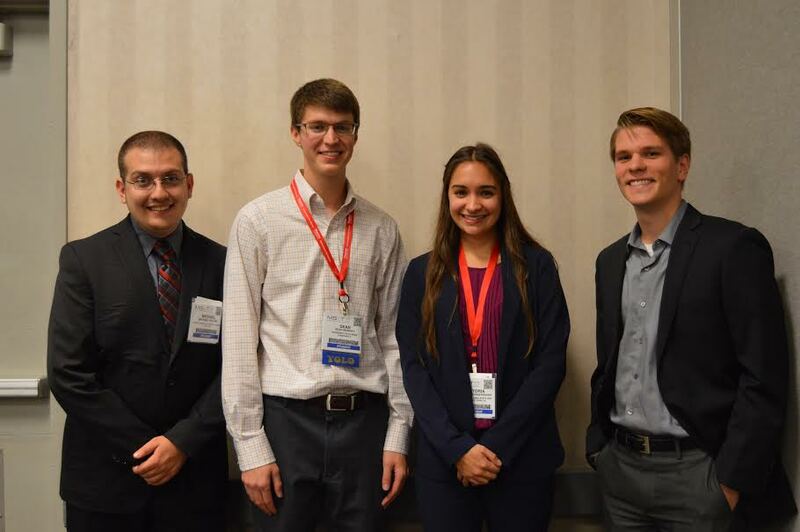 Congratulations to Nicholas Geisendorfer, pictured on the right, for reaching the final round (top four) of the MS&T Student Speaking Competition and being recognized for his presentation entitled "3D-Printed Metal Objects from Oxide Inks" about research performed in the Shah and Dunand labs, in collaboration with Adam Jakus (Shah group) and Shannon Taylor (Shah and Dunand groups)! The group bids farewell to Sandra Häberli, who will be returning to ETH Zurich to resume work under Prof. Ralph Spolenak. Best of luck, Sandra! 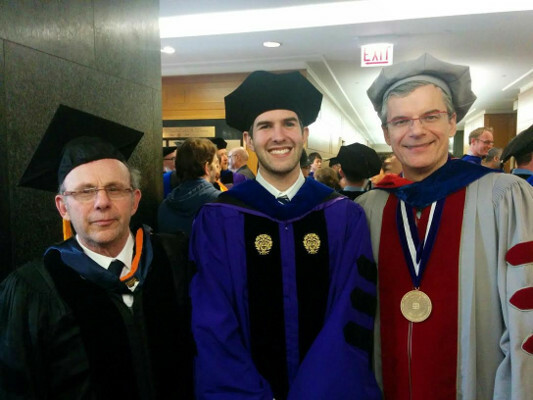 Congratulations to Dr. Peter Bocchini, who recently defended his Ph.D.! Pete's next step is to begin working for Boeing in Huntsville, Alabama (Rocket City). Congratulations Dr. Bocchini!!! The group welcomes Sandra Häberli, who will be working with the group for the next few months, continuing the work on new freeze-cast alloys started by André Röthlisberger. Sandra's home institution is ETH Zurich, where she is working towards a Ph.D. degree under Prof. Ralph Spolenak. Welcome, Sandra! The group bids farewell to André Röthlisberger, who has accomplished a great deal in just a few short months working on freeze-cast alloys. He will now return to ETH Zurich to finish his Ph.D. under Prof. Ralph Spolenak. Best of luck, André! The group welcomes Dr. Hunhui Cho, who comes to us from Seoul National University with a background in Finite element/volume modeling. Hunhui will be applying his background to several projects, including stress analysis of the porous metal-based battery, the prediction of the creep behavior of the super alloy with the woven structure, and the mechanical analysis of the nano-porous materials. Welcome, Hunhui!